SHINE is the best place to go for Aromatherapy Massage & Reflexology in St. Catharines/Thorold. When the world makes you weary down to your soul and the peace you crave can’t be found, this is your haven of quiet rest. In this space you will find yourself enveloped in warmth, human compassion, and genuine caring. You can come to talk or be silent, release pain and stress and be replenished. Here there is no past or future, only the present time just for you. "I highly recommend SHINE Holistic Therapies​." I’ve had a couple of treatments with Lori for aromatherapy massage and reflexology and each time is pure magic …honestly, she is magic. Relax and reconnect during this ancient and healing massage. Relieve stress during this unique, soothing treatment. Promote your body’s systems and support its ability to heal itself. 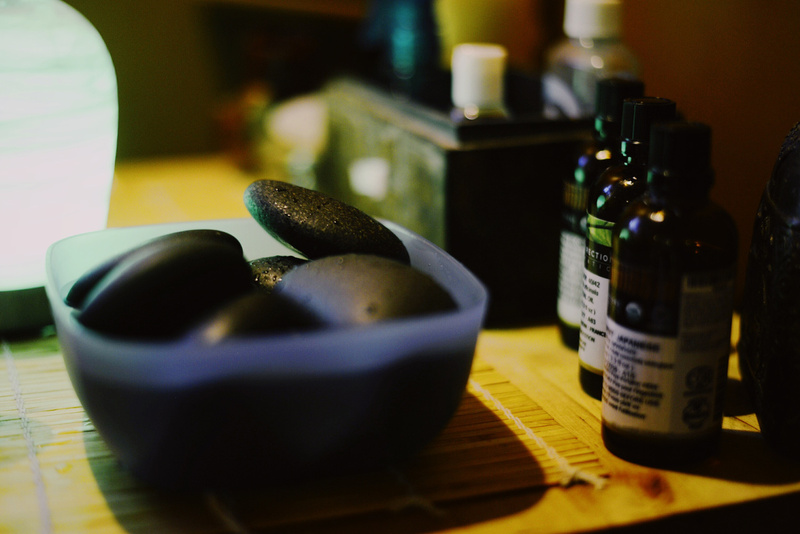 SHINE provides custom-blended aromatherapy products for clients following treatment, as a continuation of care at home. Essential oils can be used for specific physical or psychological outcomes that are measurable. The choice of essential oil is often based on the chemistry of the essential oil, as it will indicate the properties of the oil and thus the safest method of use. The choice of essential oil will also take into consideration the aroma preferences of the client. "I can't imagine my life without her healing hands." ​Lori is a gifted therapist with a toolbox filled with talents and training to help guide you through your healing journey. I can't imagine my life without her healing hands. Truly grateful for all she is and all she does. "Her treatments always leave me feeling better..."